Proud Headed Queen Lizzie refers to the Canadian one cent coin (penny). 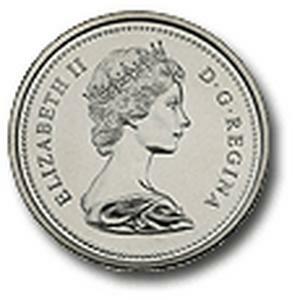 In Canada, the front side of all coins have had Queen Elizabeth 2 on them since 1953. The above pictured effigy appeared on Canadian coins from 1965 to 1989. Joni may have been looking at this one when she wrote the song. In the song, I think, she is referring to the penny coin replacement in a fuse box as described below. I'll let you figure out a deeper meaning, but for me it might be that she is referring to the protagonist (the women in this case) "who has hot wired herself despite having blown a fuse - the protection and thus defeating the fuse box - self control" , but don't quote me. If your home was built around 1950 or before, you probably have fuses. If it was built after that time, you probably have circuit breakers. Although they look different, they serve the same function - to protect the wire (from overheating and causing a fire). Fuses are glass with a lead band that is visible through the glass base and screw into a fuse socket. Fuses and circuit breakers have nothing to do with electricity. Their only purpose is to protect the wire they are attached to by keeping it from overheating. Oversized fuses or circuit breakers do not enhance the electric circuitry or the equipment they serve. The use of a too large fuse, the installation of a metal disk such as a coin in the fuse box, or the use of tape to keep a circuit open defeats the purpose of the fuse box or circuit breaker and compromises its integrity, increasing the possibility of an electrical fire. Simply the best. 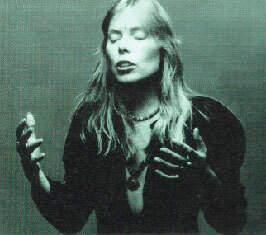 I appreciate and enjoy Joni's music, lyrics, poetry, artistry and musicianship. You have been a positive emotional and inspirational source for many people. What a great gift you have given everyone that has listened to your music! Thank you.